Basically add an ampersand (&) before the number/letter you want to use for a shortcut key. If you want to hide the shortcut keys you can make a copy of the buttons with & in front of the labels and move the x and y pos out of view. Thank you very much dude, will implement asap! Am I looking in the right area? You have to edit the color-value of the 'ShadedBarThinBuff' in the spectatorguihealth.res, since its alpha just gets animated when buffed/low. Where would i edit this notification? It's probably also mentioned in the hudlayout.res but i can't find a .res in the ui folder that seems to control it, since i would like to change some colors and fonts. The screenshot is from EveHUD, since that's the only HUD i know of that has it edited. b4stianWhere would i edit this notification?http://i.imgur.com/1VVpqW4.pngIt's probably also mentioned in the hudlayout.res but i can't find a .res in the ui folder that seems to control it, since i would like to change some colors and fonts.The screenshot is from EveHUD, since that's the only HUD i know of that has it edited. Isn't it resource/ui/statpanel_base.res or something similar to that name? I can't double check that, I'm on mobile. omni b4stianWhere would i edit this notification?http://i.imgur.com/1VVpqW4.pngIt's probably also mentioned in the hudlayout.res but i can't find a .res in the ui folder that seems to control it, since i would like to change some colors and fonts.The screenshot is from EveHUD, since that's the only HUD i know of that has it edited. Isn't it resource/ui/statpanel_base.res or something similar to that name? I can't double check that, I'm on mobile. It is exactly that, i just didn't import it yet, i'm a moron. Thanks pal! When I cap a point in Payload, this animation plays in the top left corner and for the life of me I can't find the file that defines it. I've searched in the hudanimations file to no avail, I'd love for some help to disable it. SpannzerWhen I cap a point in Payload, this animation plays in the top left corner and for the life of me I can't find the file that defines it. I've searched in the hudanimations file to no avail, I'd love for some help to disable it. [quote=Spannzer]When I cap a point in Payload, this animation plays in the top left corner and for the life of me I can't find the file that defines it. I've searched in the hudanimations file to no avail, I'd love for some help to disable it. Add the "mouseoveritempanel" section to mainmenuoverride. f_blue Teca99Does anyone know how to remove the box in the corner on the menu Add the "mouseoveritempanel" section to mainmenuoverride. SkopeCan someone tell me what file controls the revenge label thingy .~. 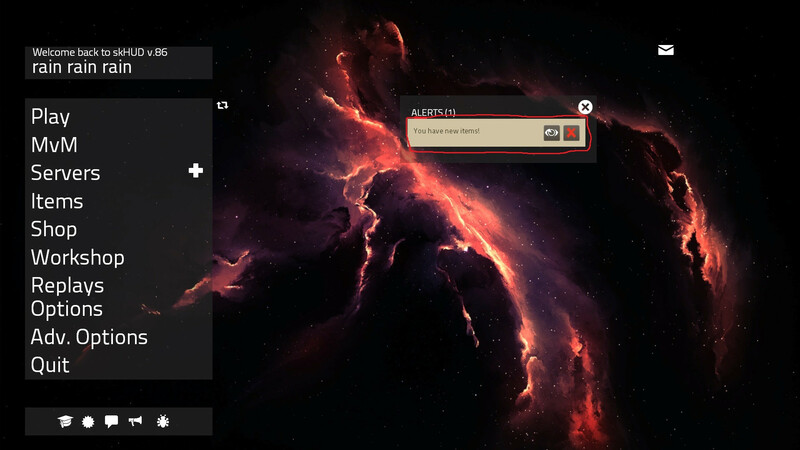 resource/ui/statpanel_base.res and statpanel in the hudlayout.res. [quote=Skope]Can someone tell me what file controls the revenge label thingy .~. 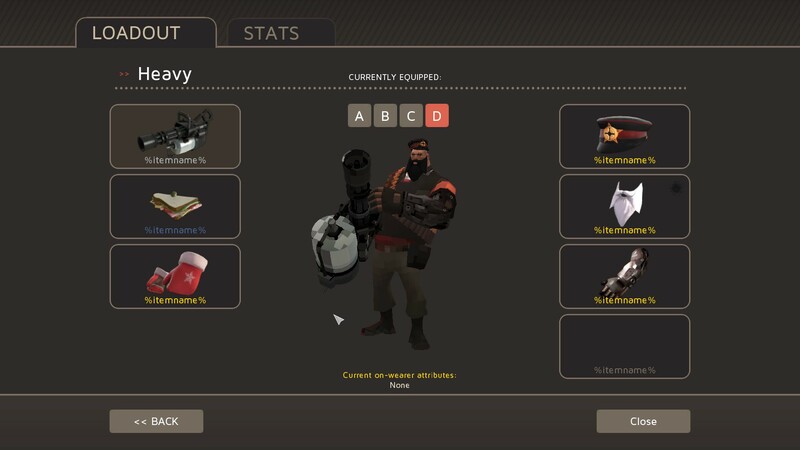 Does anybody know where the 'Attention, are you sure you want to leave the game' MvM notification is controlled that you get when trying to leave an MvM server? Does anybody know where I can fill in the space in the center? I'm assuming that somewhere in the sourcescheme or in one of the files (I assumed backpackpanel in ui\econ), it was intentionally set to be "0 0 0 0", and if you're using a custom bg you'll see it as well as the main menu buttons. how do i fix the names? Does anyone know how I can remove the Unkown text? tobshow do i fix the names? Im having trouble centering crosshair 8 on fognew on Noto, with a 1366 by 768 monitor. http://steamcommunity.com/sharedfiles/filedetails/?id=361271744 Ive tried multiple times to center myself but, it always seems to be off center. kounterpartsIm having trouble centering crosshair 8 on fognew on Noto, with a 1366 by 768 monitor. What have you changed it to? Have you tried changing the wide and tall values at all? That can help. [quote=kounterparts]Im having trouble centering crosshair 8 on fognew on Noto, with a 1366 by 768 monitor. I just played on doomsday event and since bumper cart stuff the hudplayerhealth.res doesn't laod anymore. Health values and crosshairs aren't visible. I tried default hud and it worked there, back to my hud it doesn't work anymore. I don't really see how these two are connected, any ideas? JBI just played on doomsday event and since bumper cart stuff the hudplayerhealth.res doesn't laod anymore. Health values and crosshairs aren't visible. sounds like you deleted a bracket while editing it to me. if you've changed it at all roll back to a previous version/ redownload that file for the hud. [quote=JB]I just played on doomsday event and since bumper cart stuff the hudplayerhealth.res doesn't laod anymore. Health values and crosshairs aren't visible. komorebi JBI just played on doomsday event and since bumper cart stuff the hudplayerhealth.res doesn't laod anymore. Health values and crosshairs aren't visible. I tried versions that definately worked before and it's doing the same there now. I checked hudlayout.res and all brackets are there, didn't edit hudplayerhealth.res either. I didn't change aything and it stopped working, not only for me, but other people who use my hud aswell. [quote=komorebi][quote=JB]I just played on doomsday event and since bumper cart stuff the hudplayerhealth.res doesn't laod anymore. Health values and crosshairs aren't visible. 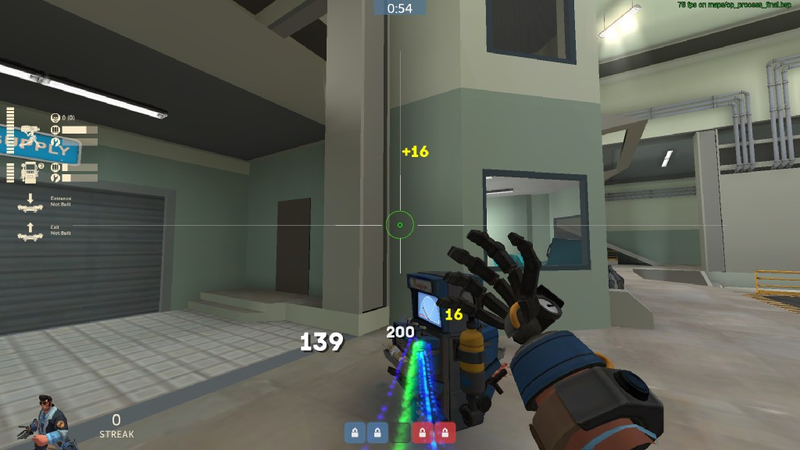 How the hell do I change the dispenser health gained color? Edit: It's the same as when you're healing someone as Medic and those numbers pop up if you heal them from below their normal health. How to edit the color of these? m0nkeiHow to edit the color of these? [quote=m0nkei]How to edit the color of these? JB m0nkeiHow to edit the color of these? In which file do i need to look for the button element? [quote=JB][quote=m0nkei]How to edit the color of these?